A report from Clutch shows that 71% of businesses use social media and 47% began before 2017. 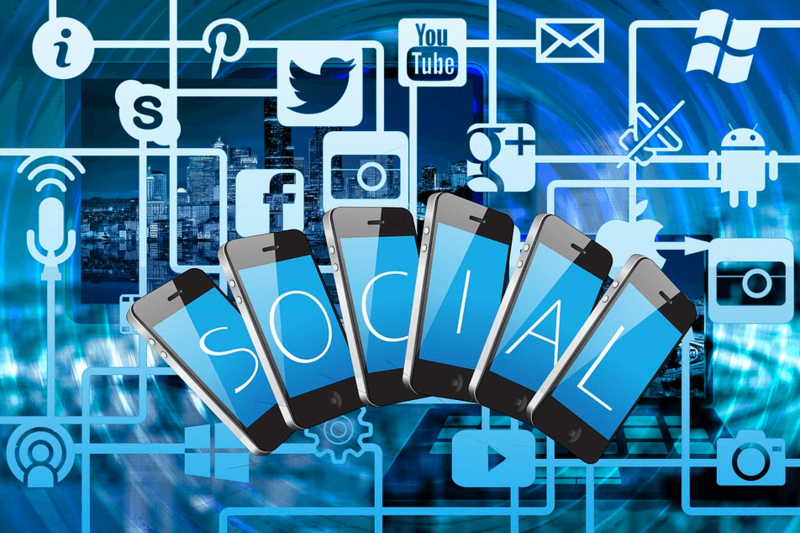 More than half (52%) of small businesses post to social media at least once per day, something social media experts recommend. It’s clear that organizations are acknowledging the power of social media to attract and engage customers. 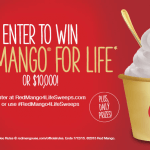 Here are two successful social media campaigns that made waves across various social media platforms including Twitter and Instagram. 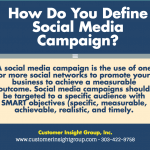 Whether your business is new to social media marketing, or you have years of experience, these campaigns can give you inspiration and insight into running campaigns that consumers respond to. 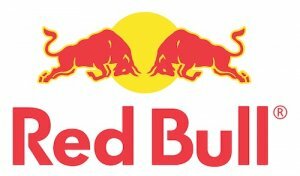 Consumers have been “given wings” for well over 28 years by Red Bull, and they ranked #61 on the Forbes Most Powerful Brand List. 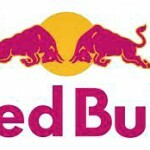 Their original energy drink can be found in over 171 countries, and has sold a cumulative 68 billion cans since Red Bull was introduced in 1987 with a marketing strategy built on extreme events. With a goal of engaging its audience, Red Bull ensures that it always has interesting stories to tell on Instagram. They post compelling captions to tell more about the stories behind the content they post. To encourage discussions the brand tags the people, places, and even brands that appear in its posts. 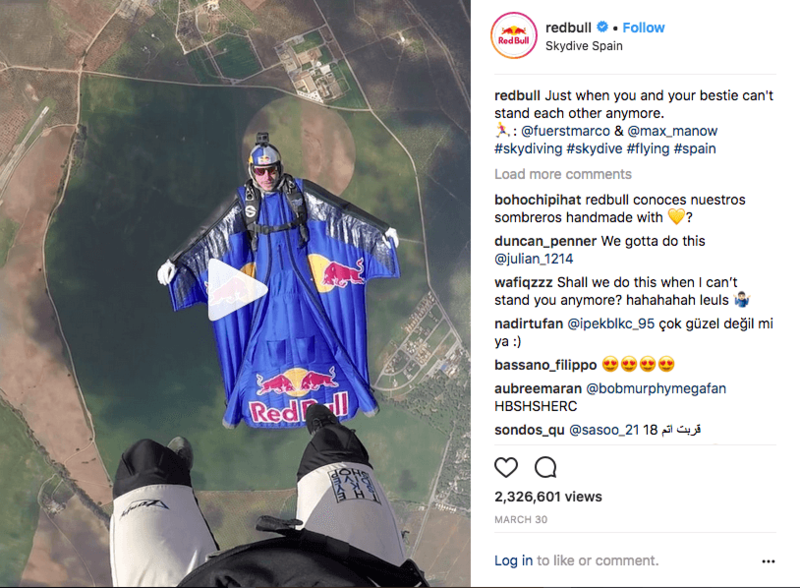 The energy drink brand also reaches out to influencers from the various sporting fields, like extreme sports, for building its Instagram library. This is not limited to athletes. 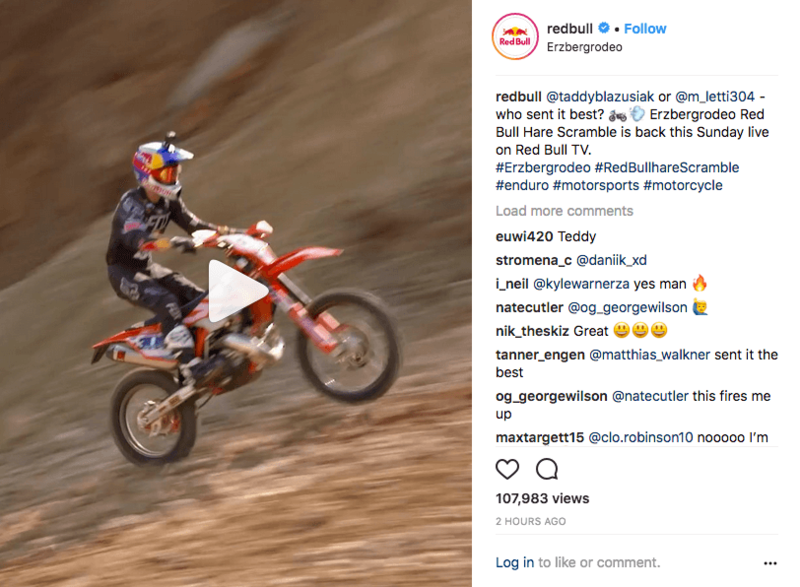 Aside from collaborating on the actual content, Red Bull also regrams the content created by influencers, strengthening its association with them. To boost social media engagement Goodyear launched a campaign using hashtag #MakeaName. The campaign pays tribute to NASCAR legend Dale Earnhardt Jr.
Goodyear created a tribute commercial celebrating Earnhardt’s career with a touching one-minute video that featured clips from his racing days. It also includes archival footage, provided by the Earnhardt family, featuring the racer during his younger days. Many clips show him watching his father, Dale Earnhardt Sr., who was also a legendary NASCAR driver. To build up the anticipation for the commercial’s release, Goodyear posted teasers of the ad on their Twitter account with a photo of the iconic Goodyear blimp and hashtag #MakeAName. Goodyear released the commercial for the 2018 Daytona 500 on February 18. It was simultaneously released on television and online. The commercial has since attracted more than 417k views on Twitter, and over 172k on YouTube. Throughout the teaser, Goodyear used the hashtag #MakeAName to get the interest of its fans. The company even displayed the tag on its blimp for greater visibility. This helped generate plenty of conversations around the ad on Twitter. The tweet encouraged followers to watch out for the big reveal on February 14. As the date approached, the company released more hints. They finally revealed Earnhardt Jr.’s participation with a screenshot from the ad on February 12. 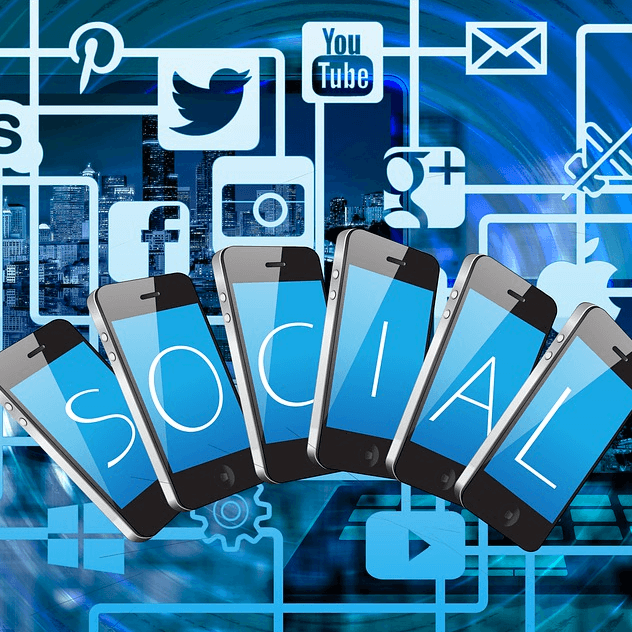 Social media is unlike any other communications medium your company has ever used. It has tremendous power to grab the hearts and minds of your customers. But to make it work, you need an experienced guide. 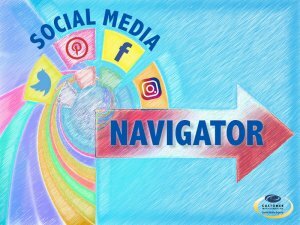 Our Social Media Navigator gets your company up to speed, and competitive, in all things social media in the shortest possible time. In just a few short weeks, your company will go from social media newbies to pros. Learn how your customers are already using social media, including their interactions with your competitors. Identify the best social media channels for your brand to engage your customers. Discover the best social media management tools for your brand. See how to integrate it with your existing communications channels. Develop a plan to build and nurture a community of customers. Set-up a dashboard to track and measure results. And a great deal more in a program customized for your company.